Ah, the good old managerial merry-go-round. 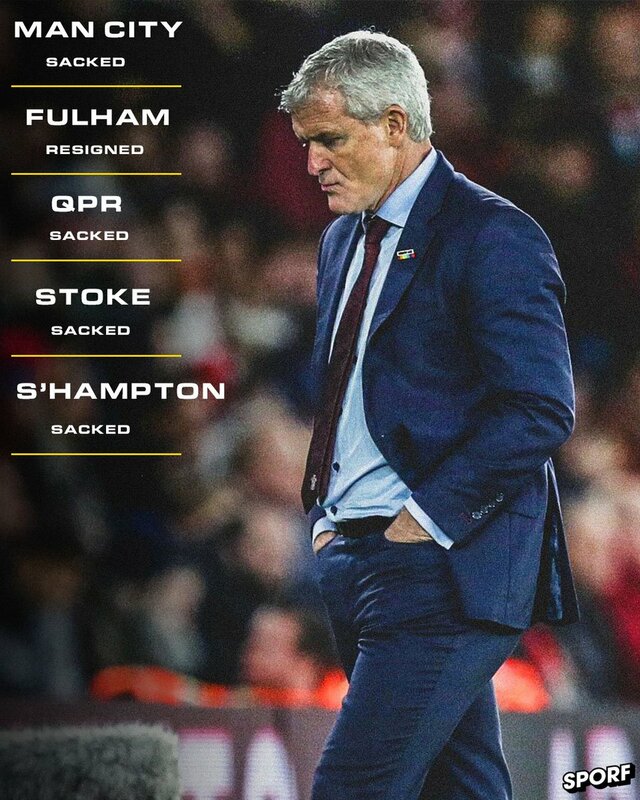 It was in full swing once again this week as Mark Hughes finally lost his job as Southampton manager, making it three sackings in a row and his fifth lost job in nine years. Although there are so many good things to adore about our beautiful game, and while the Premier League is still regarded by many as the best in the world, the fact that Hughes will no doubt walk into another job as soon as an opening appears really irks me. The Welshman's tactics are highly aesthetically pleasing. He's one of the old-school bunch in that regard. Hughes adopts a defence-first mindset. That cautious approach just doesn't wash in this day and age no matter how much money is spent - particularly in the long-term, just ask Jose Mourinho how he's faring on a huge budget. However, it's the short stints which mean Hughes will find himself back in employment in the not too distant future. Manager's like him have this unique skill set which often tends to work with Premier League teams who are battling relegation. I also put the likes of Sam Allardyce, Roy Hodgson and Tony Pulis in the same bracket. What happens is, a club will find themselves trying to avoid the dreaded drop and hit the panic button by sacking their current manager. Then, said club will go out and find a 'wise old head' with 'Premier League experience', hand them a long-term contract, likely remain in the top tier and struggle immediately for any form whatsoever hereafter. Rinse and repeat. 🏴󠁧󠁢󠁷󠁬󠁳󠁿 Mark Hughes has been paid an estimated £18m in compensation from being sacked by Man City, QPR, Stoke & Southampton since 2009. I guess what I'm trying to say is that I'd just like to see a bit more ambition. To an extent, Huddersfield are an excellent example. They're struggling right now, but it looks as though David Wagner's job is safe. The German is a bright-minded coach who's only just starting his managerial career really, but the players enjoy battling and working for him, and that's why they have as good-a-shot at any at surviving in the Premier League.